If you require general dentistry work in Maple Ridge, BC or surrounding areas contact the Westgate Dental Centre office to arrange an appointment. Commonly known as “silver” fillings, these are the most common type of fillings used in Canada. Gold fillings are the strongest type of filling and, with proper care, can last a very long time. A cast gold filling is made in a dental lab and sent back to your dentist, who cements it in place in your mouth. You will need at least two visits to the dentist to get the job done. A crown also called a cap, is a hollow, artificial tooth used to cover a damaged or decayed tooth. The crown restores the tooth both functionally and aesthetically and protects it from further damage. A bridge is a dental restoration that replaces one or more missing teeth. It is typically made up of an artificial tooth that is anchored by crowned teeth on either side. A bridge is permanent and cannot be removed. Bridges are made from various types of materials. Depending on which tooth needs to be replaced, your dentist will suggest a material, or combination of materials, that is right for you. 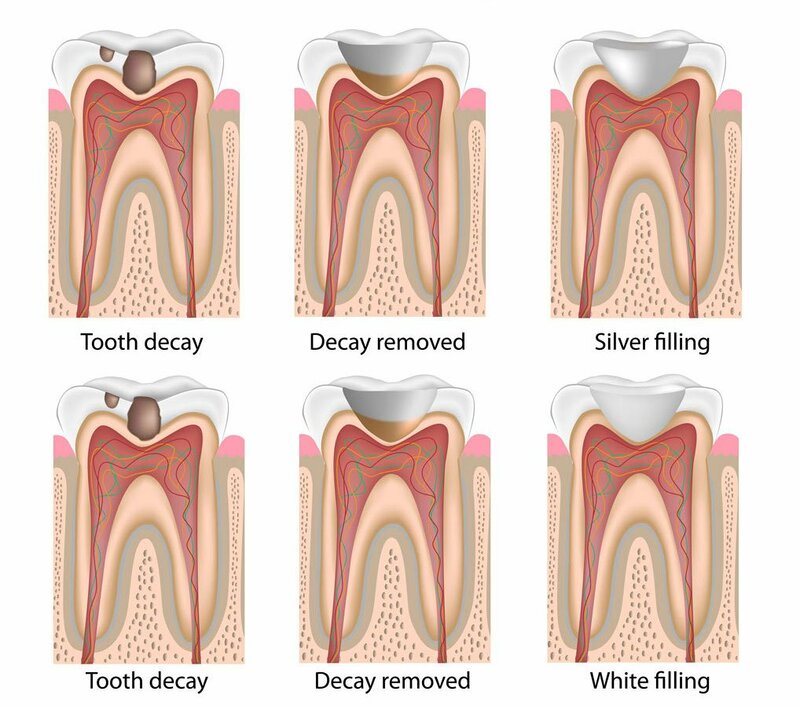 There are many different reasons for extracting a tooth. Our skilled dentists will help you to understand the pros and cons of a possible tooth extraction and will provide you with options to make the process as comfortable as possible. One of these options is sedation, which makes for a much more relaxed appointment. When decay/bacteria enter the nerve chamber (pulp) of your tooth through deep cavities, cracks or failed fillings, your tooth can become infected. An abscessed tooth can cause severe pain and/or swelling. In this case, the infected nerve/pulp of the tooth needs to be removed and the internal canals sealed and filled. 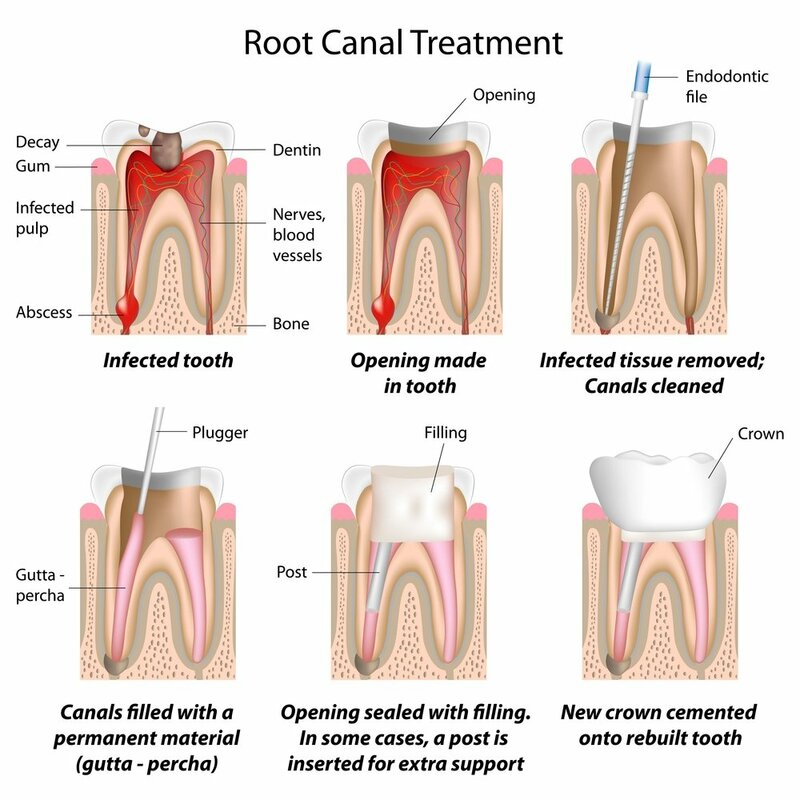 Successful root canal treatment lets you keep your tooth rather than having to pull it out. 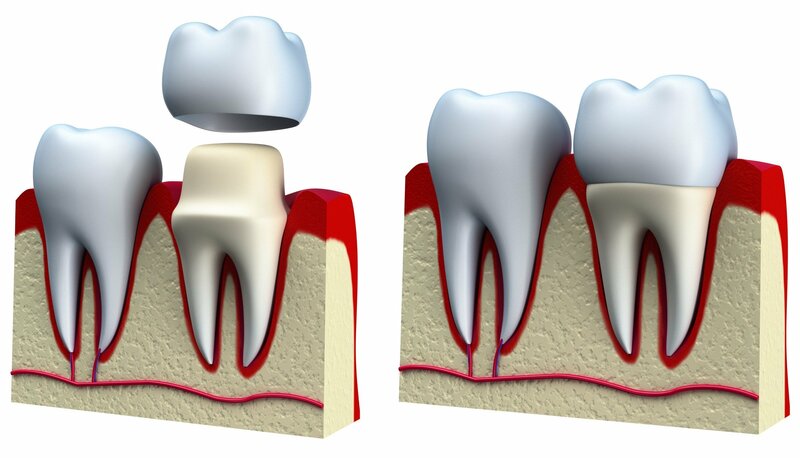 After root canal therapy, your tooth will usually be restored with a crown to protect it from breaking. 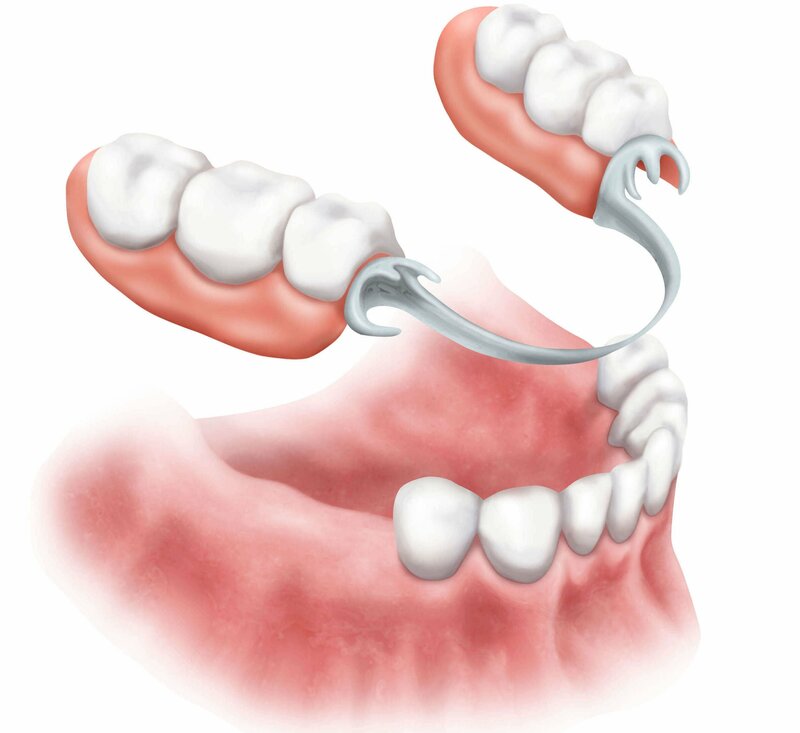 Partial Dentures: Are made up of one or more artificial teeth held in place by clasps that fit onto nearby natural teeth. 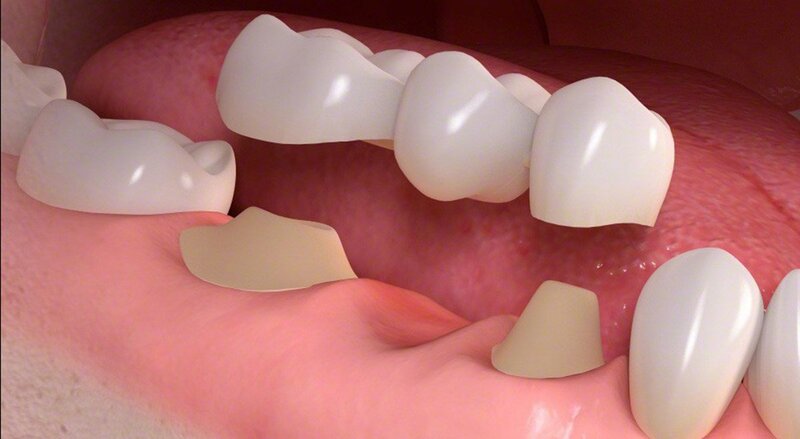 These dentures are usually more retentive than complete dentures and need to be removed for cleaning and at night. Complete Dentures: “False teeth” that are used when all your natural teeth are missing. Must be removed for cleaning and at night.